This durable yoga mat is ideal for using at home or at the gym. 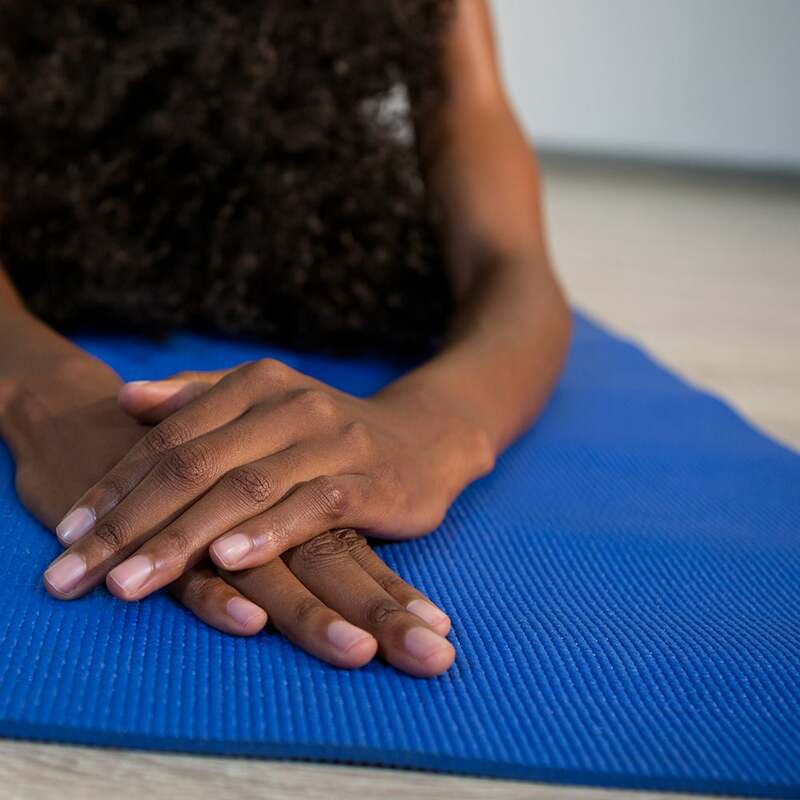 These non-slip mats will help you stay on your hands and feet, even during the most difficult of yoga poses. Give your yoga mat a personal touch by choosing your favourite colour from our 12 colour options. 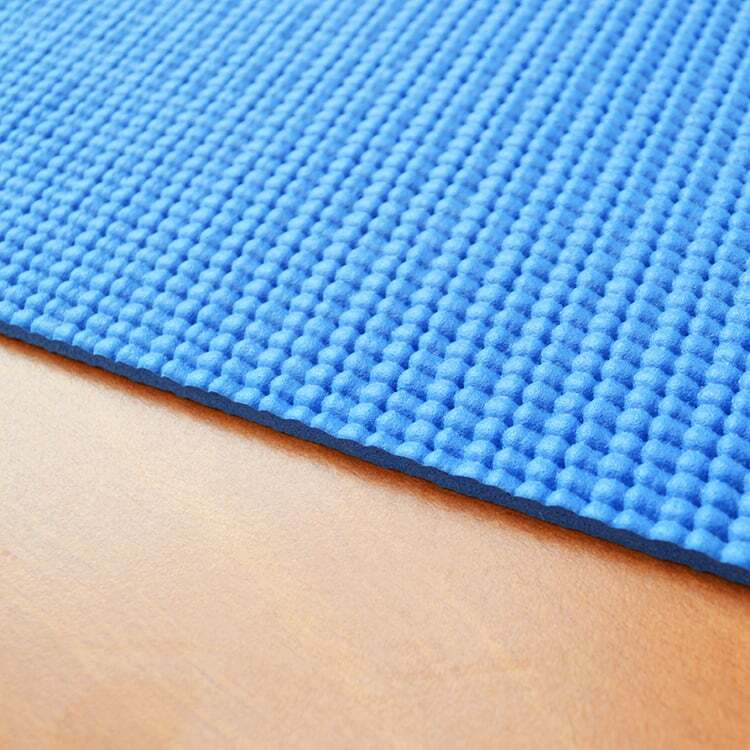 Latex free and made from phthalate-free dyes, these mats are perfect for everyone. The best part is, it’s recyclable and you won’t have any issues re-using these mats either. Donate them to a veterinary clinic or use them as rough floor mats at home afterwards. 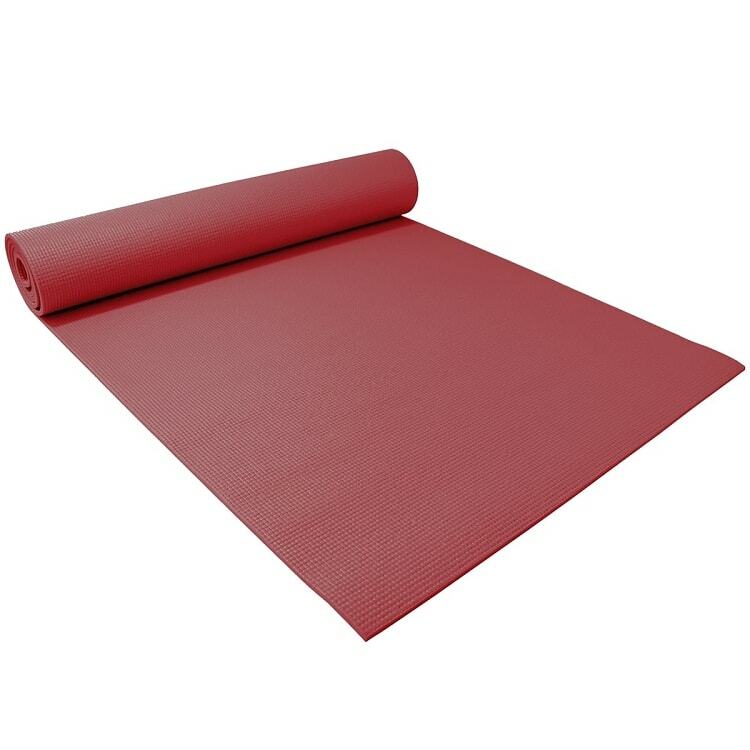 At an affordable price, the 6mm yoga mat is our bestselling product to date. Q: What is the weight of the mat especially when rolled? A: It is about 1.5kg. A: That green is going to be a darker green (the one near the top of the pyramid). ETA should be a couple days. A: We can do that. Give us a call at 01904 696930 and we can work with you. Thanks! Q: Which of the mats in the picture are purple, light purple, and dark lavender? I am not sure which description corresponds with the colours in the picture, thank you! A: Just took a second look at this, the only one we have now is regular purple, which is the bottom right hand one. Thanks! Made from open cell foam, this extra thick and extra-long yoga mat is specifically designed to absorb sweat from hands and feet to help you stay stable during your practice. Just starting out in yoga, I wanted something that could last while I decided if yoga was for me. Two years later, I still use this mat. Being a yoga practitioner in my sixties, I chose this thick mat for its extra cushioning. After a couple of weeks' use it is softening up nicely. I also like its dark, dull, comforting and non-distracting colour, chocolate in my case. It is heavier than my previous, thinner, mat but well worth the extra effort in hauling it to classes. I've bought 5 x 6mm thick yoga mats for my Yoga classes. They appear to be a little stiff from the start, however with time they become nice and sticky. The thickness is perfect to protect the knees, also they seem to last longer than mats I've been using before in my classes. The delivery and service by YogaDirect was very good. Overall positive about the product and service! I buy these for my yoga studio and couldn't be happier with them. They're thick and comfortable and stay that way for years – no flattening, crumbling or colour fade. I purchased the thickest yoga mat in olive green. This is a great product - high quality and durable and also very good value and very prompt delivery. Received the yoga mats on time as usual for our new students. They were happy with the quality and already in use in our morning classes. So all good! Like the mat's thickness (although not 'the thickest'. Easy to carry and does not curl up when rolled out. Not sure about non slip at present. Hopefully it'll wear in but lacks a bit of grip initially. My initial order was nearly two years ago - just need to order more mats. I’m very pleased with them - I run classes and they’ve worn extremely well - actually no wear and tear. For the price good quality. Colours good and they clean well. Would definitely recommend. Nice thickness mat. Arrived in record time.